Much of the love-hate relationship with our jobs are based upon their ability to pay well, is there any potential growth in future, can we expect a promotion soon, are the working conditions safe and are they recession proof. The working conditions alone can be a deciding factor when choosing the best jobs. One such profession is that of construction, where employees may expect difficulties, and above all, it can get tough when there are recessions. Following is the list that reflects what you may love or hate about construction jobs. Across the globe and especially in Australia, construction and mining jobs are considered the most dangerous jobs to be part of. There are many types of research that highlight construction workers are at a greater risk of a workplace accident that may turn fatal and life-threatening. Much of it is because of the problems of working at height, or in excessive dust, leading to lung and breathing diseases. Many construction workers who consistently work on heights can experience phobias and traumas if an incident occurs. Due to its geographical challenges, Canberra is considered the most dangerous place for construction workers in Australia. The biggest problem with construction jobs is their inability to fulfil contractual commitments when there is a recession or economic slowdown construction and real estate industry is the most hit industry whenever an economic instability occurs. Although Australia has seen over two decades of economic growth and no recession as yet, there are chances that if one occurs, it may hit the real estate sector hard, leading to low or reduced construction activities. This may lead to redundancies and unemployment in the long term. Labour and Wage data confirms that construction jobs are well paid for, and employees who work for construction companies as specialists can earn a good living wage per month. The median pay for an average construction worker in Australia stands around AU$25, which is higher than many blue colour jobs. Many construction workers are paid commissions, bonuses, and health insurance too. Moreover, because construction work may be seasonal at times, expect some good holidays too. Because the construction industry relies on experience, partnerships, and references, expect long term growth if your work is appreciated in close circles. Project managers, civil construction job specialists in Melbourne, safety specialists, and high-rise workers can expect to be contacted by new aspiring construction companies, as well as government entities if they are on the radar. Many construction workers go on to open their own consultancies, project management shops, and specialist services providers after they have gained experience in the field. Many construction consultants have over two decades of working experience and are aware of the difficult terrain of Australia and what materials and techniques might be best. Some Important Tips For Getting Womens Fashion. 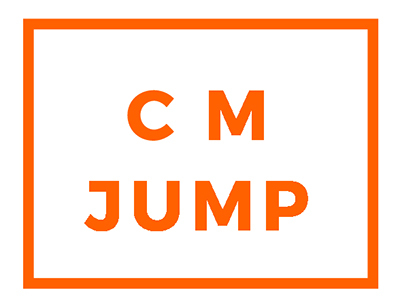 @2017 - cmjump.com.au. All Right Reserved.